Study in Australia where thousands of new student beds are being added to Brisbane’s housing stock. Study in Australia: International education is Brisbane’s biggest export but there has been a lack of purpose-built, high quality student accommodation in the city. The shortage of accommodation has meant overseas students have been forced to seek housing in the city suburbs, some distance from university or college facilities. Now Brisbane is to get a range of new purpose-built student housing developments that will accommodate around 9,000 students. The latest development, at Charlotte Street in the city, even includes a karaoke room. The project has added to the 7500 student accommodation beds approved so far, with 1851 beds and 13 applications still being considered by city councillors. The new Charlotte Street project will have 954 beds across 626 apartment suites. It will also feature 478 bicycle parking stations, a gym, pool tables, study areas and karaoke rooms. 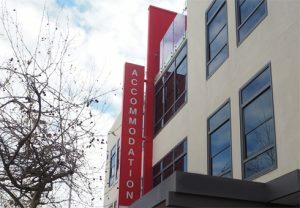 The increase in student accommodation is the result of the city council reducing development charges from $8000 to $2000 for a one or two bedroom student suite. 75,000 international students enrol each year at educational facilities in Brisbane and they generate around $4 billion for the local economy each year.